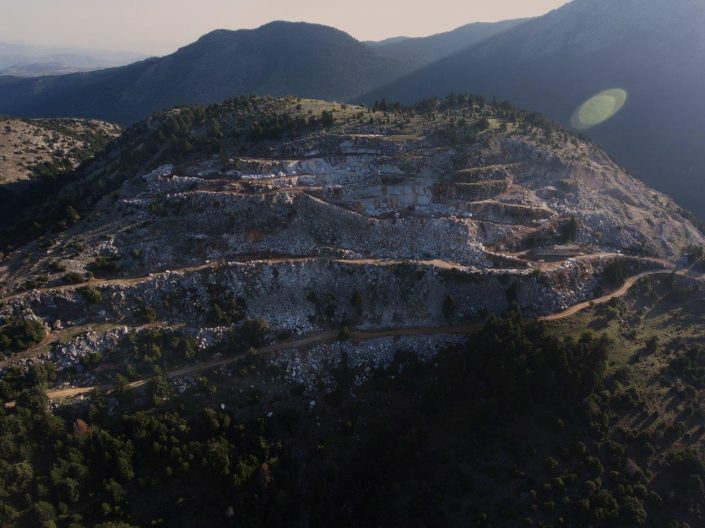 Our quarry at Parnonas is at 1300 m altitude in the homonymous mountain. 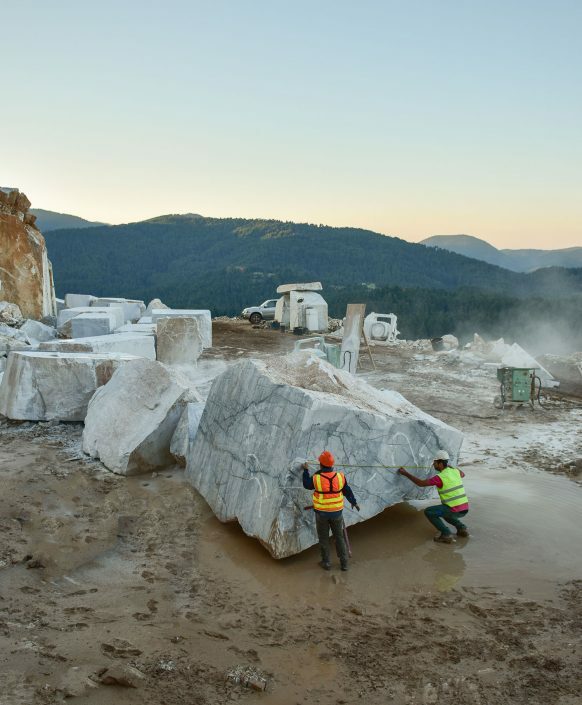 Quarries in Parnonas, which means a shining peak, exist from ancient Greece. 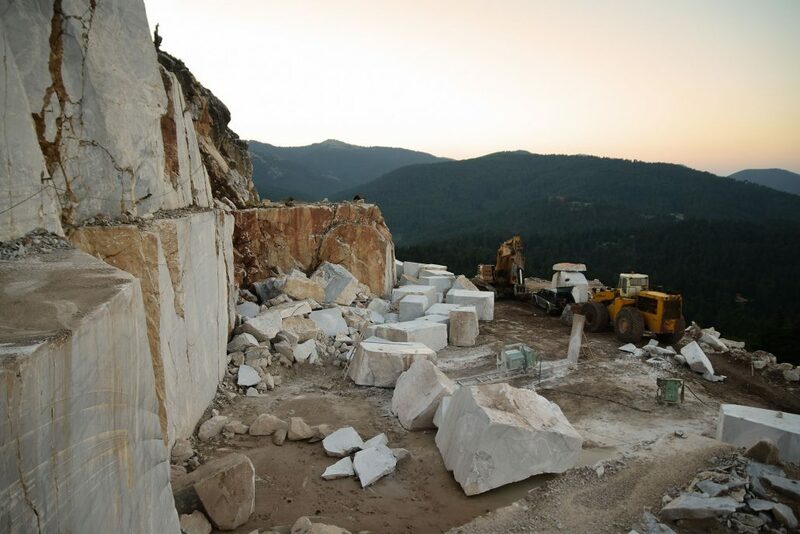 Our company has been working on the Parnon marble since 1987. Parnonas is a semi-white calcareous marble, formed in the Permian period of the Palaeozoic geological period, some 300 million years ago. The black lines that characterize it, are organic matter spots.